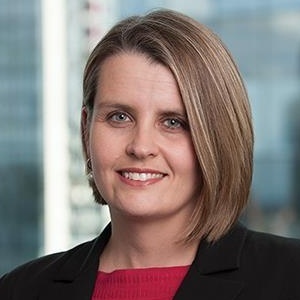 Recent media reports have focused on companies that have yet to implement the new accounting standards, with both ASIC and the AASB raising concerns to this end. A number of companies, though, are well progressed in their implementation journeys and have had to deal with numerous challenges along the way. We look at some of the challenges for each of the new revenue, leases and financial instruments standards. Revenue from Contracts with Customers and Financial Instruments came into effect on 1 January 2018, while Leases will take effect in January 2019. Companies that have begun to implement these new standards are realising that the level of effort and potential changes required are significant, affecting revenue — typically the largest item in the profit and loss statement — as well as a number of line items on the balance sheet. Together, they can alter the financial position and future profit of companies, as well as affect their business models. Understandably, then, one of the most important challenges is how to communicate these, and other, impacts to stakeholders. For example, investors and analysts will want to know if a company's reported earnings profile is likely to change or stay the same, while regulators will want to know that the standards are being appropriately applied. Once companies get into the details about the impact of these rules, they can find that the issues are complex, even for those with straightforward business models. For example, many companies are having to make significant changes to their systems and processes and in doing so are coming up against challenges around data, systems capabilities and resources. As illustrated below, it's clear that the changes go far beyond the accounting. One of the biggest implementation challenges of the new revenue standard is determining how to account for revenue at the implementation date and going forward. This will determine when your company recognises revenue, which is one of the most important numbers in the financial statements given that it drives profit. There are many rules to apply and areas of accounting judgement, and the result may be a significant change to how your company is currently recognising revenue (i.e., earlier or later than under the previous standard). An example of this is Uber, whose revenues will reportedly be cut in half when it adopts the revenue standard. Significant changes like this will need to be clearly communicated to company boards and investors. Another challenge in implementing the revenue standard relates to the disclosure requirements. Companies will be required to keep much more detailed information about parts of contracts that they previously weren't required to track or that they may not want to include in their financial statements because of market sensitivity. For many companies, this will require implementing new systems to help them meet their reporting obligations. A further challenge is that while companies may find the new revenue standard has no impact on them, getting to that outcome can take a long period of time as it involves reviewing contracts, resolving technical issues and managing stakeholders. Accounting and finance teams don't necessarily have the depth of understanding of how contracts work or what the terms in contracts mean, and and transition projects will often require close collaboration between business and commercial teams. Given ASIC has stated it is expecting quantitative disclosures on the potential impact of the revenue standard, companies will not be able to risk taking a short cut to a “no impact” conclusion based on “gut feeling”. One of the challenges of implementing the new leases standard is managing the flow-down impacts on things such as debt covenants, employee incentives, dividend policy, thin capitalisation and lease negotiations. This is a result of the significant changes to assets and liabilities due to the requirements of the new standard to bring all leases, which are currently not on the balance sheet, onto the balance sheet. A second challenge in implementing the leases standard is that many businesses will need a new lease accounting system to manage the complexities in the lease calculations. Excel may no longer be sufficient to calculate assets and their associated liabilities, and the impact on profit and loss. Companies will need to ask themselves if they need to upgrade or change their systems due to the expanded reporting requirements of the new leases standard and the additional information needs. Companies should view this as an opportunity to find a system that not only meets their financial reporting requirements but also meets operational needs around managing their lease portfolio. Finally, changes to the definition of a “lease” may result in more contracts now being classified as a lease. In order to make this assessment, companies will need to identify all of their contracts that could potentially contain a lease — this may be harder than it sounds when you consider that companies may have been tucking contracts away in random filing cabinets for decades. In addition, once those contracts have been identified, companies will then need to assess which elements of each contract are relevant for the lease accounting. It's worth considering contracts with hundreds of pages and the challenges these may present where there is a requirement to pull out, for instance, dozens of pieces of information to calculate the lease asset and liability. Companies that have financial assets (i.e., money is owed to them) will need to incorporate forward-looking information on credit losses. This is a challenge as it will require companies to estimate who will and will not repay their debt, taking into account future economic circumstances. For banks, in particular, this will be a significant undertaking given the number of customers they have and the fact that loans are one of the key products offered. Another challenge of the new financial instruments standard is that it requires companies to make many more disclosures in their financial report. The information required might not be readily available and could require substantial time and effort to acquire. For example, companies applying hedge accounting will need to provide the average hedged rate, which will require contract information on all hedges to get the average — a substantial amount of work if a company has, for example, 100 hedges. A further challenge relevant to anyone who has external borrowing is that, under the new standard, gains or losses on loans that have been modified in the past have to be accounted for in profit and loss on the day that they're modified (whereas previously gains or losses could be carried forward into future years over the lifetime of the liability). This means that companies with external borrowing have to adjust retrospectively (i.e., adjust the new set of accounts to take account of a gain or loss in the opening balance). The biggest change to accounting standards since the introduction of the International Financial Reporting Standards (IFRS) brings with it multiple challenges. Companies should keep in mind that implementing the new standards is not just a compliance exercise for their finance teams to deal with. It's also an opportunity for companies to gain a deeper understanding of some of the most important elements of their business: their revenue and customer engagement process; the impact of financial risks and the volatility this creates in their earnings profile; and the levers involved in capital investment decisions.